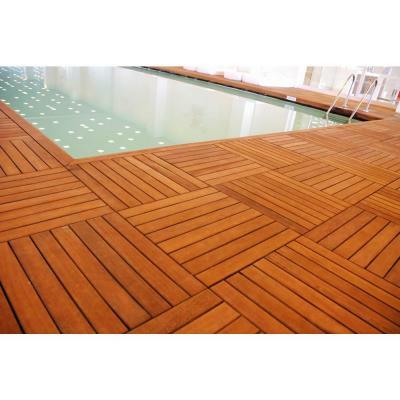 An infrared reflective wood stain that reduces the surface temperature by up to 40° F. This environmentally friendly wood stain treatment makes decks more comfortable to walk on, protects fences from the harsh infrared rays of the sun, and helps reduce energy consumption when used on shake roofs or wood siding. 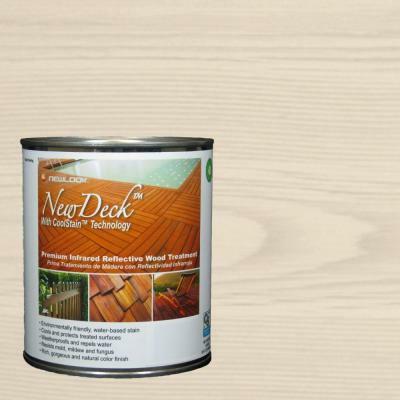 NewDeck’s patent pending, water-based formula includes water-repelling sealer technology for a long-lasting finish. 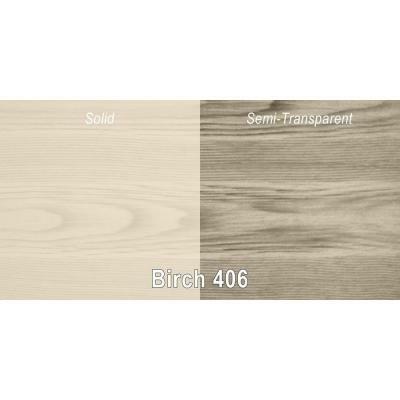 Its ready-to-use solid color formula may be diluted with water to achieve more transparency. 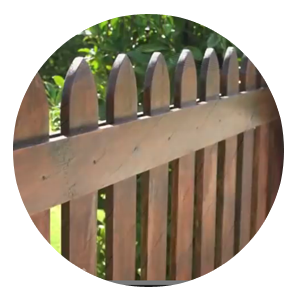 Use NewDeck to restore the finish and reduce the surface temperature of wood and composite surfaces, such as Wood Decks, Railings, Roof Shakes, Wood Shingles, Siding, Roofs, Fences, and Wood Patio Furniture. 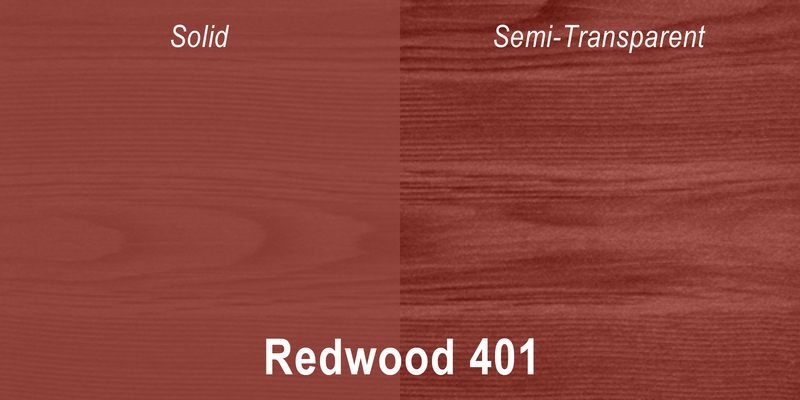 NewDeck™ with CoolStain™ Technology is available in many popular colors that create a rich, gorgeous finish. 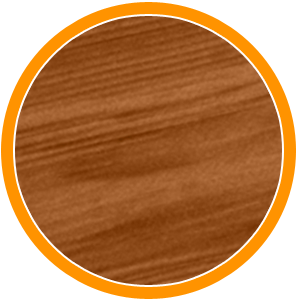 Each wood stain color is a ready-to use concentrate for a solid finish that may be diluted with water to achieve more transparency. 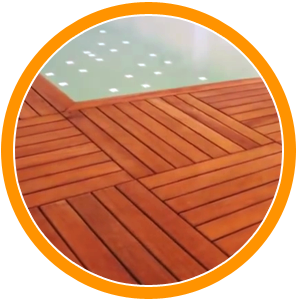 The amount of temperature reduced by NewDeck’s infrared reflective pigmentation depends on the color used, ambient temperature, surface texture, and other variables. 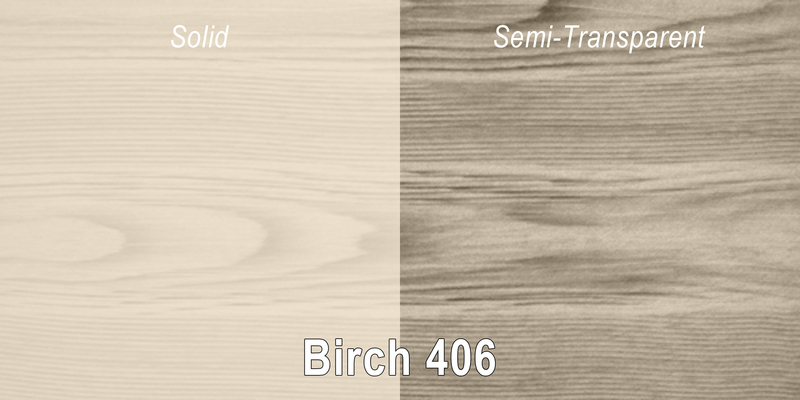 We even have a white wood stain (Birch)! NOTE: The colors shown are for reference only. For best results, select product color from the product label. 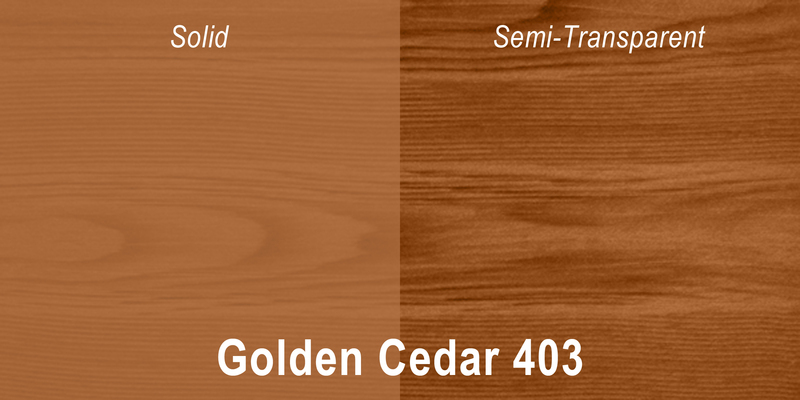 Computer screen resolution may vary and should be considered when selecting a NewDeck color. 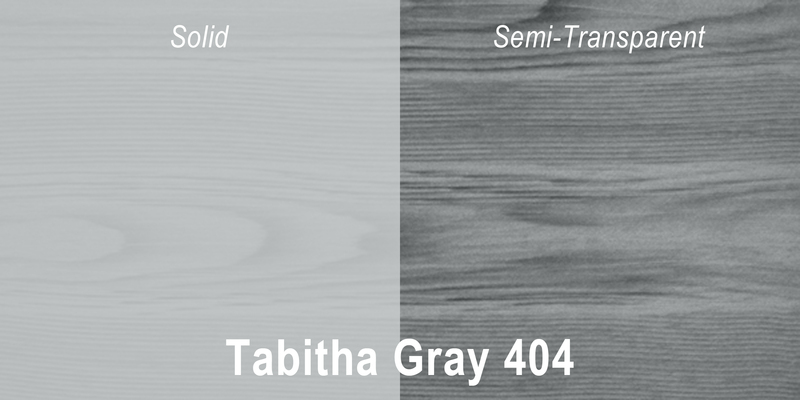 NewLook International, Inc. warrants customer satisfaction with this product when applied to a properly prepared surface in accordance with label directions. 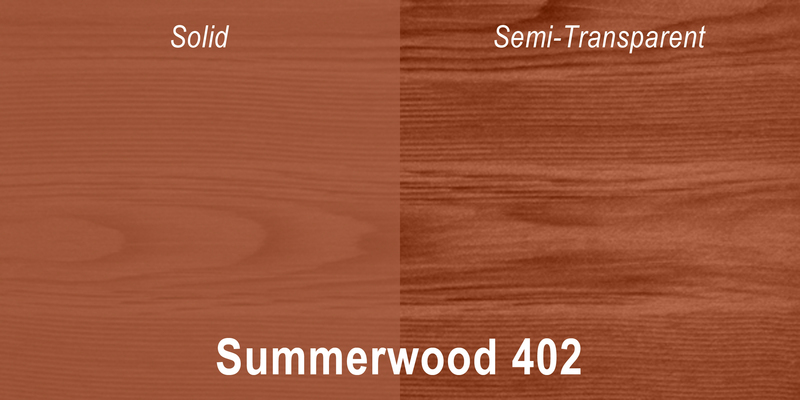 Slight color fading may occur, especially in areas exposed to heavy traffic or excessive weathering. 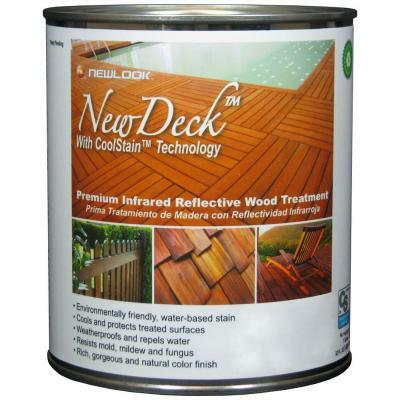 NewDeck with CoolStain Technology is available in both 1 quart and 1 gallon sizes. 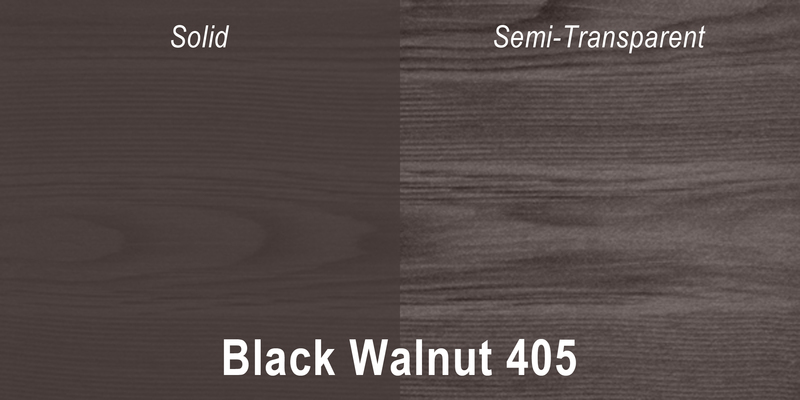 *Coverage rates will vary and are based on surface porosity, temperature, and method of application. 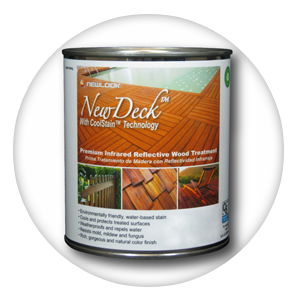 Use a Newlook Applicator Brush to apply NewDeck with CoolStain Technology.